Who's Scanning the Ubiquitous QR Code? Nowadays, you can find QR (quick-response) codes on everything. These odd-looking, black-and-white, pixelated designs were originally used by the automotive industry, but today they are most often found in magazines, newspapers, and ads. QR codes offer an efficient way to create links to websites, but they can also store text, phone numbers, email addresses, or calendar events, or send SMS messages. Here are some tips on how to use a QR app to access the data you want. First, you need a QR-code app and a smartphone or tablet equipped with a camera. iOS users should check out RedLaser. Android fans can try either RedLaser or QR Droid, and BlackBerry users will like QR Code Scanner Pro. All of these apps are free to download, and each one should handle any standard QR code just fine. When you launch your app of choice, you'll see that your phone's camera is activated, with an on-screen framing guide. Line up the camera on your device with the QR code you want to scan, and hold the device steady until the app can read the code in front of it. 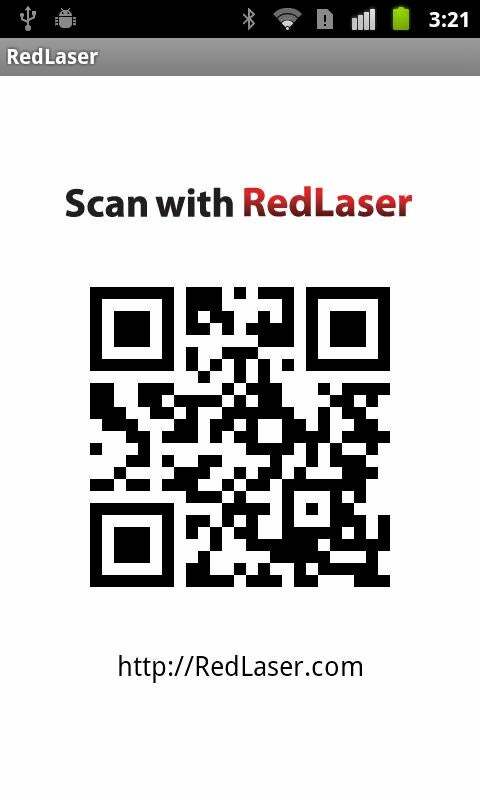 RedLaser (for Android and iOS) can read QR codes as well as bar codes. For the best results, aim your device squarely at the code, and not at an angle. Try to minimize any glare from stray light sources, and scan the code in an evenly lit environment. If the code is in direct sunlight, you may need to cover it with your hand for the app to read it properly. When the app has recognized the QR code, it will beep and display the info the code contains, or launch your Web browser to take you to a designated URL. You can use most QR-code apps for reading bar codes, too, which can be convenient for in-store price checks. Scanning a product’s bar code with RedLaser will bring up an item description, as well as a list of prices from online merchants that also sell that item. In addition, the QR Droid app lets you create your own codes. This feature makes it easy for you to create a QR code from your own contact information, for instance; other people can then scan your code and instantly transfer your information to their phones, which would save you a few bucks on business cards. Have your own QR code tips and tricks? Share them in the comments!